Orvis Endorsed Fly Fishing Lodges represent the best fishing experiences in the world. As an Orvis Endorsed property, Alaska’s Boardwalk Lodge is committed to excellence and the high standards of this exclusive fly fishing program. Only a select group of lodges meet the high standards of the Orvis program. Sporting vacations are all too precious for you to waste with an unsatisfactory experience due to the incompetence of the guide or host lodge. After all, the best fly-fishing equipment in the world isn’t going to be appreciated in undesirable conditions, so Orvis sought out the best fishing lodges, outfitters, and guides in the country, all of whom are located in exceptional fishing areas, and who have a reputation for superior client service. The result was the Orvis Endorsed Lodge, Outfitter, Expedition and Guide Program. 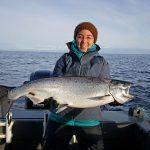 All participants share the ideals of excellent service, great fishing, and an experienced staff. 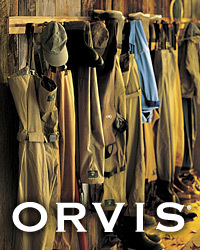 All operations are continually reviewed by the Orvis staff and must continue to meet their rigorous requirements.